When we think “quality of care”, we typically think of the safety and efficacy of services provided inside of the hospital. We evaluate hospitals and other institutions of care based on their ability to tend to patients’ needs once they step through the doors of a medical building. But what if a patient doesn’t have the resources to arrive at the hospital to begin with? Rural populations, senior citizens, and children face the challenge of procuring a ride to their appointment, greatly jeopardizing their health and wellness. If vulnerable groups are unable to access care due to transportation barriers, the “quality of care” they would receive inside the hospital is irrelevant. According to the American Hospital Association, 3.6 million people are unable to access care services due to transportation issues. For senior citizens, lack of transportation is the third most common cause of missed medical appointments. 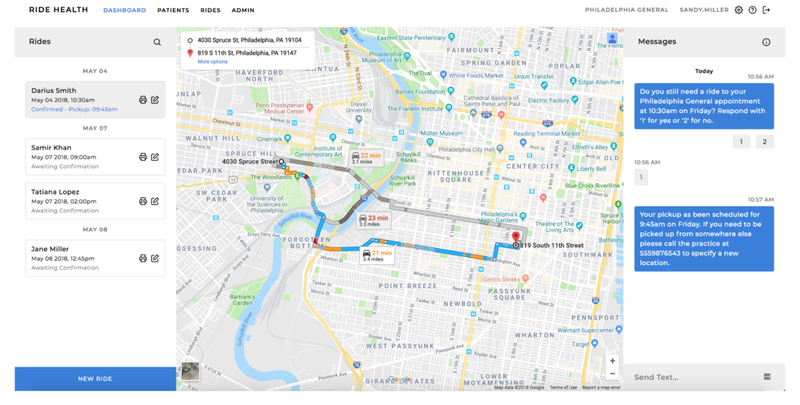 Enter Ride Health, a digital platform partnering with medical centers such as Penn Medicine's Abramson Cancer Center, to provide ride-scheduling services for patients who would otherwise lack transportation. Ride Health was founded in 2016 by Imran Cronk and Suman Khetpal and is focused on using on-demand ride technology to help connect together patients, providers, insurers, and drivers as a means of overcoming transportation barriers. The HIPPAA-compliant, web-based, user-friendly interface allows medical staff to schedule patients with both on-demand ride services, and non-emergency medical transportation, in advance of appointments. They hope that their platform will be able to augment the existing non-emergency medical transportation (NEMT) system that is run nationwide by Medicaid programs at a total cost of nearly $3 Billion a year. In their view, while NEMT is a move in the right direction, the inefficiencies that stem from the lack of consistency in quality between states and the fact that the $3 Billion cost doesn’t even cover rides for all Medicaid recipients means that there is room in the ecosystem for improvement. During our recent interview with Imran, we were able to learn more about the ways Ride Health hopes to transform access to care through transportation services and the future vision that he has for the company. Junto Health (JH): What inspired you to create Ride Health? 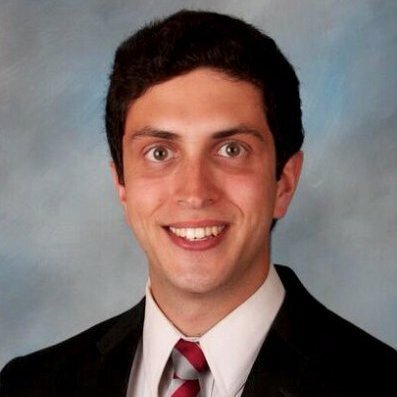 Imran Cronk (IC): Since studying Health & Societies and Healthcare Management as an undergrad, I’ve always been interested in how social determinants impact people’s ability to access and adhere to care. Transportation got on my radar five years ago when, as an emergency room volunteer in North Carolina, I encountered a patient who had been discharged but had no way to get home. I ended up giving him a ride home, which opened my eyes to how something as simple as transportation can be a difficult barrier for people — whether getting home from the hospital in the middle of the night, or getting to and from in broad daylight. JH: Why is Ride Health more effective than tradition medical transportation services? 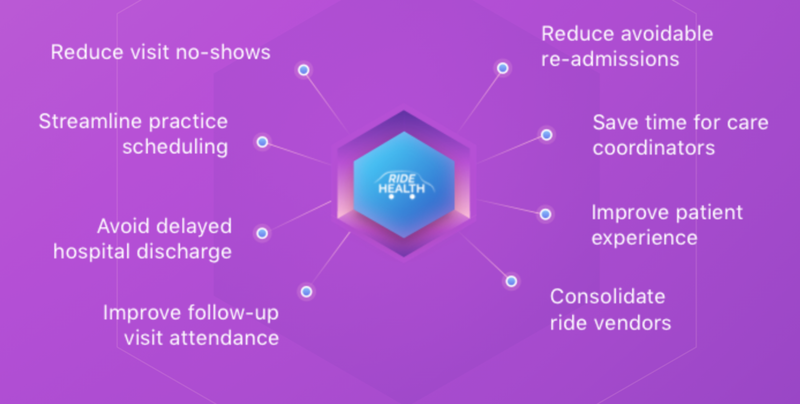 IC: First, Ride Health is built in a patient-centered manner with real-time information about pickups and an ability for patients to request their ride back home on-demand instead of waiting for hours. We also engage patients is a manner that recognizes that not everyone has a smartphone — and that some even have landline telephones — but keeps the experience consistent across those different communication methods. Second, Ride Health empowers care coordinators and social workers at the health system level — those who actually know the patients, unlike faraway brokers who are managing mobility for millions — to arrange rides. Those professionals know their patients’ lives and circumstances, and they know best who needs transportation, when they need it, and what kind of support they need. Third, Ride Health partners with transportation resources across the spectrum — everything from an Uber to an ambulance — so coordinators can help patients of all needs from one convenient and streamlined interface. Breaking down silos between the worlds of medicine and transportation is at the heart of our approach. JH: How many overall users do you have? Who are the primary users of Ride Health? IC: We have facilitated transportation for thousands of patients to date and have hundreds of enterprise care coordinators using our platform. We are currently deployed across 25 states, from coast to coast and from the north midwest to the deep south, with clients ranging from academic health systems to small health clinics to disease-focused societies. Our mission is to ensure that every patient, everywhere, has access to the care they need. That includes rural areas where patients can live far from medical centers. While we do our best to connect the few professional transportation resources that exist in those communities, we are also working on a model of transportation that connects volunteer drivers who live in these more rural communities and want to help their neighbors access care. We see that model as being helpful not only in rural areas here in the United States, but also around the world. JH: What are the major healthcare organizations you have partnered with? What has been the feedback from medical staff members? IC: We have partnered with organizations such as Penn Medicine, Virtua Health System, Mission Health Partners, Einstein Healthcare Network’s Moss Rehab Research Institute and the American Cancer Society. The feedback from medical staff members has been positive, based on our surveys, with many reporting good ease-of-use, time savings related to faster coordination of transportation, and higher satisfaction among patients. From an organizational standpoint, we are also reducing no-show rates significantly and reducing length of stay in cases where discharges are delayed due to a lack of transportation. In keeping with our values around intellectual humility and continuous improvement, we also listen just as closely to the constructive feedback around how to improve or expand our approach. JH: What criteria do you use when selecting medical transportation providers? IC: The most important criteria, after basic insurance and procedural requirements have been met, is that transportation providers share our values to provide a timely and courteous experience for patients. These transportation providers are extensions of our organization, so we make sure to take care at initial screening and after being live in-network. We appreciate the opportunity to work with so many community-based, values-aligned transportation providers who know their communities well and share that firsthand knowledge with Ride Health as an ecosystem orchestrator. JH: How did you make your platform HIPAA compliant? IC: Beyond working with Google Cloud Platform, which has many built-in frameworks that enable HIPAA compliance, we have an information security policy that ensures that our organization adheres to technical, physical and administrative safeguards required under the HIPAA Security Rule. We have not found HIPAA compliance to be challenging, per se, but view it as important ongoing journey that we need to keep top-of-mind at all times. JH: How have you designed your product to suit the needs of customers with limited knowledge of digital technology? IC: While more elderly patients are getting feature phones and smartphones, there is a significant cohort that do not engage with mobile technology or have limited capabilities in that regard. I would estimate that 70 percent of our patients have a mobile phone with texting capabilities, 15 percent have a mobile phone but cannot text, and 15 percent rely on a landline. Within that context, we have built a voice call system that provides the same information that would otherwise be sent via SMS text message. We also have an automated call-in line that someone who does not travel with a mobile phone can use from a wall-phone at a medical facility to activate their ride back home. We make sure that the information shared through these voice-call means can be replayed in order to allow callers to write the information down before going out and finding their vehicle. Small touches like that can make a big difference for accessibility, which is at the core of our approach. JH: What are the next 3 major milestones for Ride Health? IC: We are in half of U.S. states at this point, after being founded just over two years ago, but there are still so many communities and institutions that could benefits from this model of medical transportation coordination. We envision being in all 50 states within the next 18 months and in a few international markets within the next three or four years. Perhaps not a singular milestone, but a continuing focus, is on maintaining the highest standards of quality in our service delivery as we continue to scale. At the end of the day, we treat each and every patient as we would our own family members or family friends who might rely on this service — and some already do. The ultimate milestone will be a world where no patient has to forego or delay care due to an avoidable barrier such as transportation, though, so we need to move forward with a sense of intentional urgency.